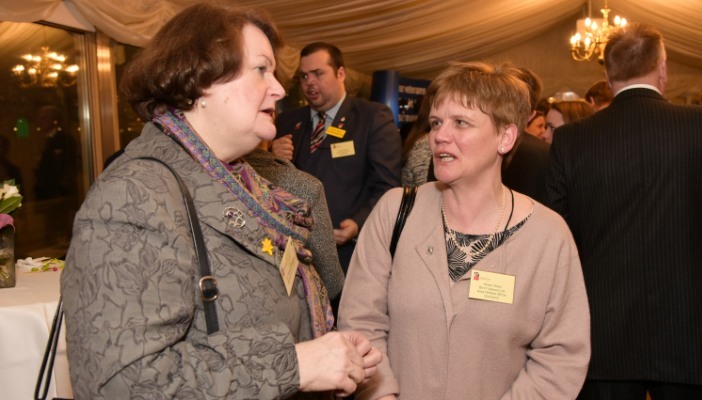 A range of key MPs and peers have backed Blind Veterans UK’s call for improving referral numbers to their support services at a recent parliamentary reception. The House of Commons event was hosted by Blind Veterans UK and Rt Hon Keith Simpson MP to raise awareness of the charity and improve the number of referrals to their services. The charity provides vital practical and emotional support to help blind and partially sighted ex-Service men and women adjust to life with sight loss, no matter when they served or how they lost their sight. Blind Veterans UK estimates that currently there are 59,000 Armed Forces and National Service veterans battling severe sight loss without the free, lifelong support of the charity. MPs and peers, along with representatives from the NHS, ‎and sight loss charities including RNIB, VISION 2020 UK and UK Vision Strategy, met with beneficiaries and staff of Blind Veterans UK and pledged their support to the increasing awareness of the charity’s support services. “Ensuring patients are fully supported right from their sight loss diagnosis is vital and signposting them to organisations, like Blind Veterans UK, can often mean the difference between someone becoming depressed and someone being able to live a full, independent life.